Breathtaking views of Eagle Nest Lake and the surrounding Sangre de Cristo Mountains. Great development potential. Survey and engineering in progress. The property is located in the Helena National Forest/Smith River Ecosystem, an area containing thousands of acres of federal wilderness with high aesthetic and recreational appeal. Hidden in the heart of one of Colorado’s last unspoiled mountain valleys. This 430 acre ranch boasts a spectacular 5 bedroom log ranch house. In Oklahoma City, OK, this week, feeder steers and heifers over 700 lbs. were called steady. 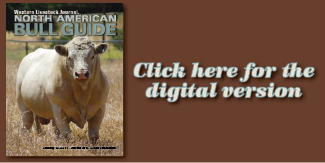 Feeder cattle and calves under 700 lbs. were steady to $2 higher. Demand was called moderate for feeder cattle, but improved later in the day. 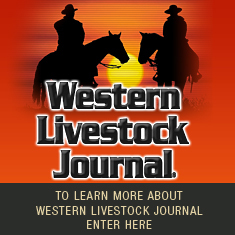 Properties Magazine your leading source for Cow Calf Ranch and Farm real estate listings in the western United States. Properties Magazine, Leading farm and ranch real estate publication in the West. 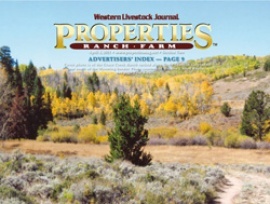 Properties Farm and Ranch Magazine, Big Ranches and Farms for Sale in the West. Buying a Ranch, hunting, recreation, grassland, big cow calf ranches and special horse, farm and livestock properties for sale. Many with good fishing, hunting and water. Look in Properties Magazine.